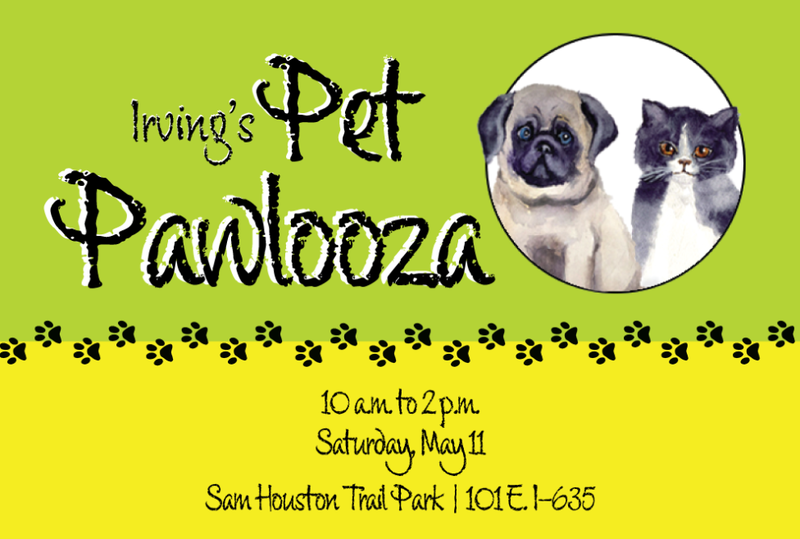 Bring a four-legged friend to the best “pawty” of the year, Irving Animal Services’ Pet Pawlooza. Pet Pawlooza will commemorate Irving Animal Care Campus’ ninth anniversary. Donations collected at the event benefit IACC animals. This year, Pet Pawlooza will take place in conjunction with DFW Humane Society’s Walk for Animals on Campion Trail. The free pet fair will be from 10 a.m. to 2 p.m. May 11 at Sam Houston Trail Park, 101 E. Interstate Highway 635. Residents can bring their pets to the Campion Trail event for free rabies vaccinations and microchipping. All dogs must be leashed, and cats must be in a carrier. Additional parking and a free shuttle will be available at T.W. Richardson Grove, 333 E. Interstate Highway 635.